3:30 p.m. The wind shifted from blowing all the smoke from the Thomas Fire (now over 245,000 acres burned) offshore to inland . . . in a matter of a couple of hours, a clear day had moved to this. Our eyes are stinging and watering. It’s only going to get worse. 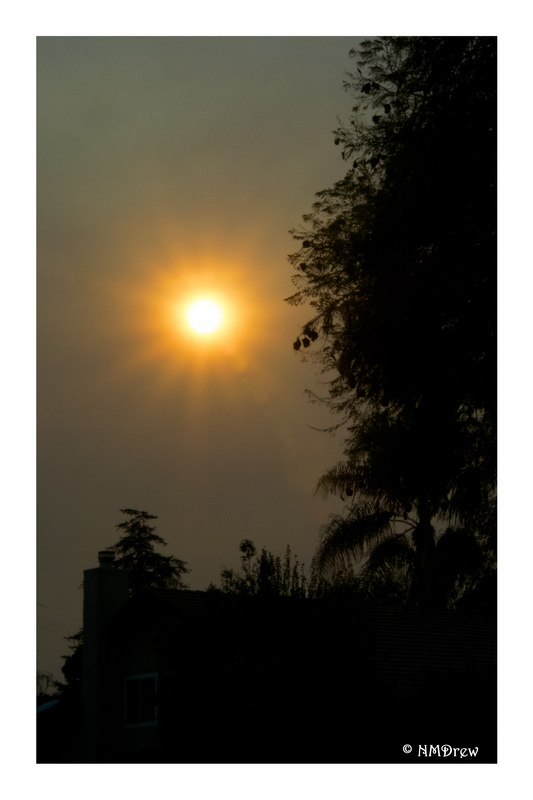 This entry was posted in Glimpses and tagged 1 Nikon 10-100mm f4-5.6, Nikon V3, photography, Thomas Fire. Bookmark the permalink. So hope this doesn’t get to where you are. This is the view from my street.